Empowering the next generation of ocean conservationists! Around the world, our planet's oceans and their inhabitants face many challenges. 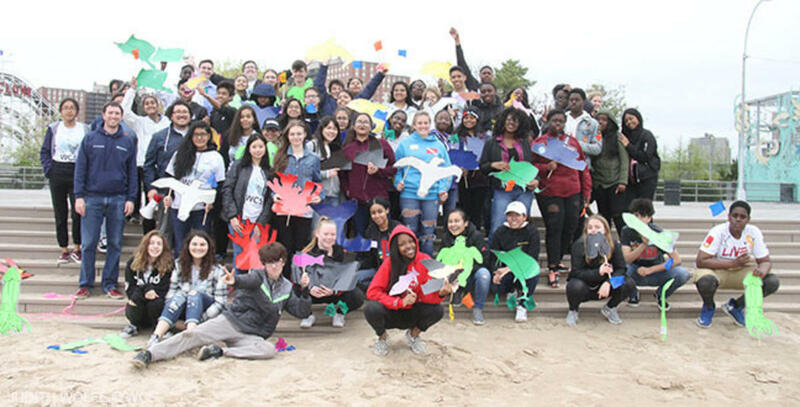 As human impacts continuously threaten the health of our marine ecosystems, both locally and globally, it is imperative that we involve youth in a campaign to help solve these problems. Become part of the movement and register to participate in the Youth Ocean Conservation Summit (YOCS) NYC. YOCS NYC is an opportunity for local high school students to develop and implement their own conservation projects. At the Summit, students will learn from local experts and there will be speakers to talk about the current threats marine ecosystems are facing. Students will also hear from their peers who are involved in youth-run marine conservation projects. The workshops offered at the Summit will teach participants the skills necessary to build their own conservation projects. With these tools, youth will leave the Summit ready to take conservation action in their own communities. Only complete registration forms will be considered. Submit completed registration form while space is available. Included in your registration are conference activities, lunch & giveaways. Please note: space for this event is limited. Be sure to register early. Spots will be filled on a first-come, first-served basis. Registration will close if we reach capacity. Your registration will be confirmed by email. For any questions about the YOCS NYC please email Stephanie Joseph at sjoseph@wcs.org. The Youth Ocean Conservation Summit was created by Sean Russell in 2011 to provide youth participants with the opportunity to learn from marine scientists and conservationists about the current threats facing marine ecosystems, both locally and globally. Workshops offered at the summit allow participants to gain the skills necessary to successfully implement conservation projects, teach participants about career opportunities in marine conservation, and expose them to opportunities they can take part in to help protect our planet's oceans and their inhabitants. Satellite summits (like the YOCS NYC) are happening throughout the year in cities across the country.